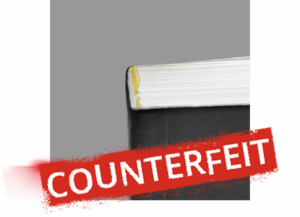 Identify textbooks that ‘aren’t right’ and outsmart the counterfeiters. 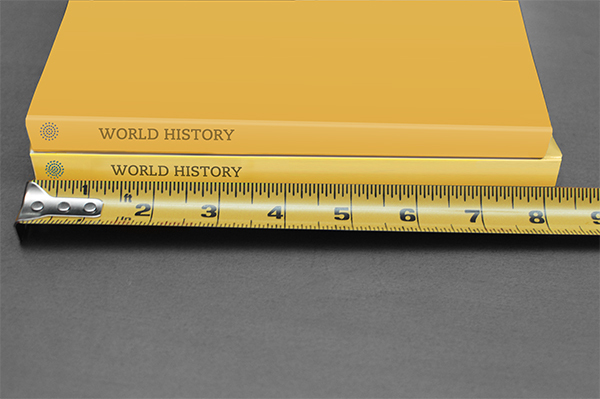 When conducting a side-by-side comparison, be sure to pay attention to the color and alignment of content. 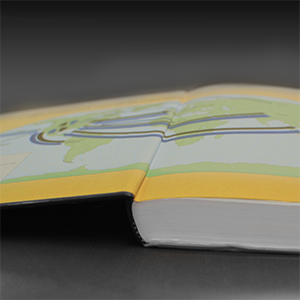 Differences such as those apparent in the image above may indicate that the book is counterfeit. 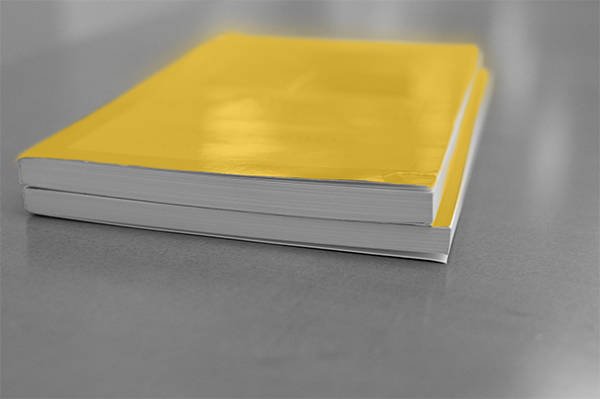 Examining the paper of a legitimate book and a suspected counterfeit book may also provide you with enough information to determine a book’s authenticity. 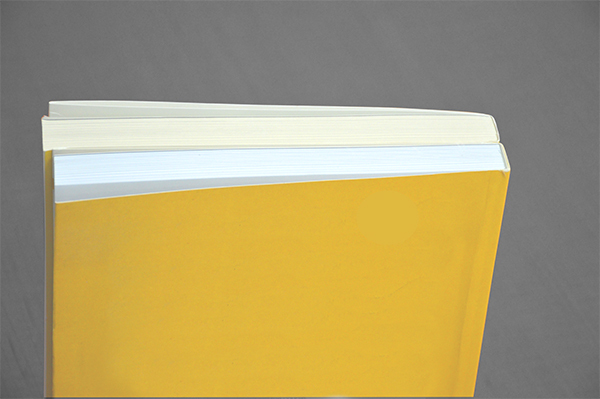 Differences in paper color, paper finish, and opacity may indicate that a book is a counterfeit. 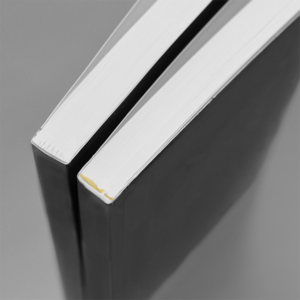 Noticeable differences in the size of a book when compared to a legitimate exemplar may indicate that a book is counterfeit. 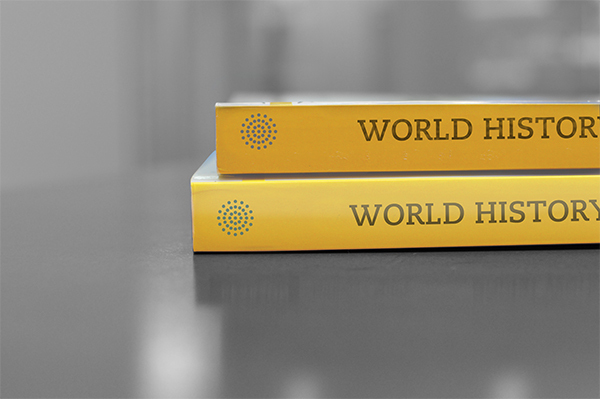 Also pay particular attention to spot differences in the bulk or “thickness” of the book, as this too may indicate that a book is counterfeit. 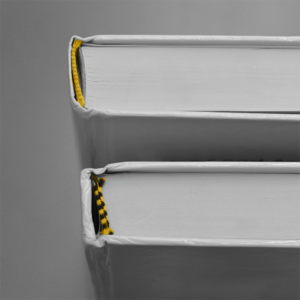 Which book is a counterfeit – Option A or Option B? The book displayed in Option B is counterfeit. Examining the glue used to bond the book together can be a useful method for determining a book’s authenticity. 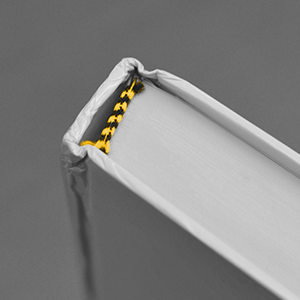 Often, counterfeit books will use a different color glue than that used for a legitimate book. 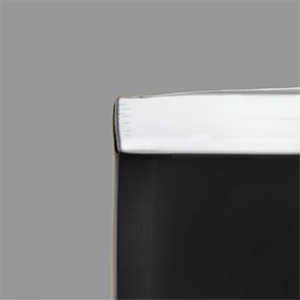 Additionally, the glue applied to counterfeit books tends to be applied more thickly and generally does not appear to be as tidy as that applied to a legitimate book. Notice in the side-by-side comparison the color and tidiness of the glue used on the counterfeit book (right). In the side-by-side comparison the color and tidiness of the glue helps identify the counterfeit book (right). 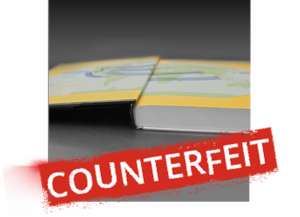 See resource page ‘How to identify a counterfeit textbook’ for help. When examining case bound books to determine authenticity, examining the headband can be a simple way to spot a counterfeit. 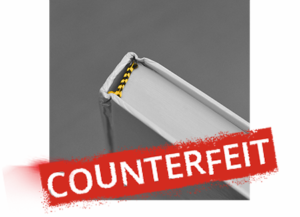 Counterfeit books may be identifiable by headbands whose color or pattern are different from those used by the legitimate book. Also be sure to examine the quality of the cloth used for the headband. A frayed headband may be another indication that the book is a counterfeit. In the side-by-side comparison, fraying of the lower quality cloth used for the headband indicates the bottom book is a counterfeit. 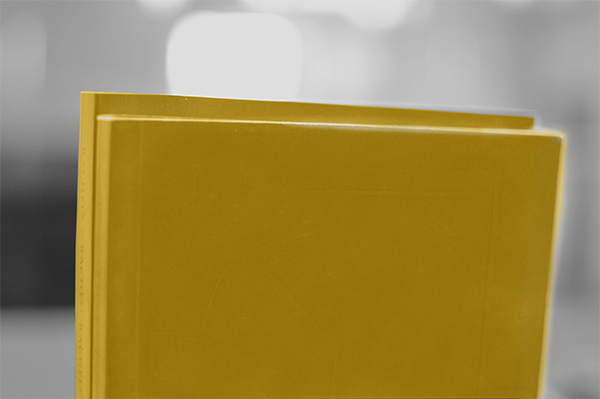 The book displayed in Option A is counterfeit. 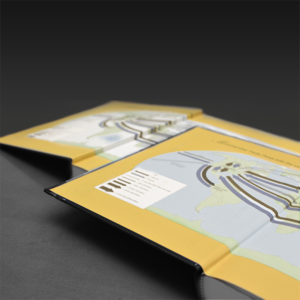 A counterfeit book may be identifiable by the way in which its endsheets are bound to the cover. 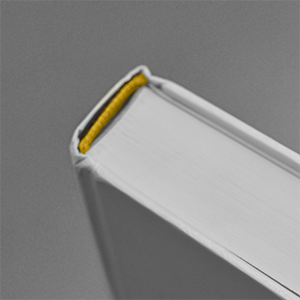 Counterfeit books may lose endsheet content into the gutter and are also more likely to have air pockets or wrinkles on the endsheet pages affixed to the case. 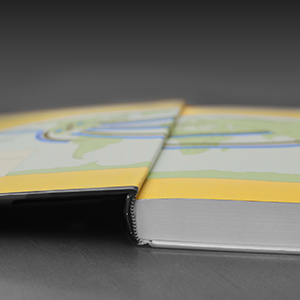 Also a likely indicator of a counterfeit book is missing endsheet content. In the side-by-side comparison, the counterfeit book (top) is losing endsheet content into the gutter.